North Carolina’s infrastructure has not kept up with the growth of EVs. Duke's investment would cover a range of installations in North Carolina, from homes to highways. Duke Energy has asked its utility regulator in North Carolina to approve a $76 million investment in electric vehicle infrastructure, including a “foundational level” of fast chargers that would allow EV drivers to zip along highways in the Southeast. North Carolina’s infrastructure has not kept up with the growth of EVs, Duke acknowledged in a filing with the North Carolina Utilities Commission. The state has just 43 public fast-charging stations and 86 access plugs available today for its 10,000 plug-in hybrid and all-electric vehicles. The $76 million would cover a range of investments, from $1,000 rebates for up to 800 residential customers looking to install their own charging stations, to public charging stations to be built and operated by Duke itself. 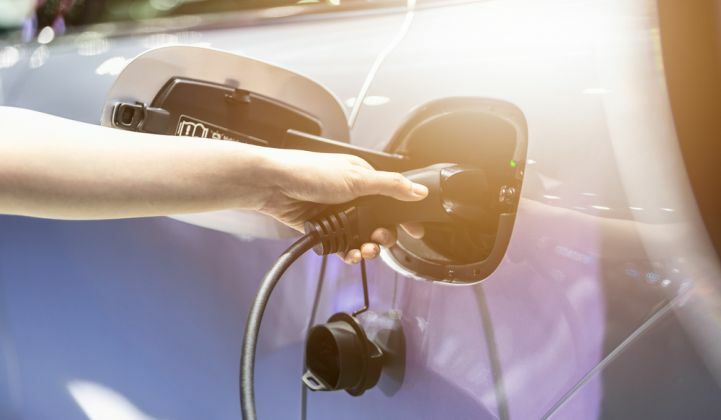 It would include rebates for commercial and industrial ratepayers that are looking to transition their fleets to EVs by installing chargers, as well as charging infrastructure for school and transit buses. Although smaller than the EV infrastructure investments being made in California and New York, Duke’s $76 million proposal is the largest to date in the Southeast, and would help to further build out the country’s patchwork of DC fast-charging stations. All told, the investment would fund nearly 2,500 new EV charging stations in the state, including a doubling of the 600 public charging stations available today, according to Duke, which is among the largest investor-owned utilities in the U.S. The three-year investment program requires approval by the North Carolina Utilities Commission. The last time Duke conducted an in-depth EV study in North Carolina was 2012, when it says there were a mere five EV models available on the market — compared to more than 40 today. Duke must “prepare for and better understand the electrical needs and impacts of [the] growing population” of EVs, the utility said in its regulatory filing. The request follows a $10.6 million proposal Duke made for an EV pilot program in South Carolina last year.